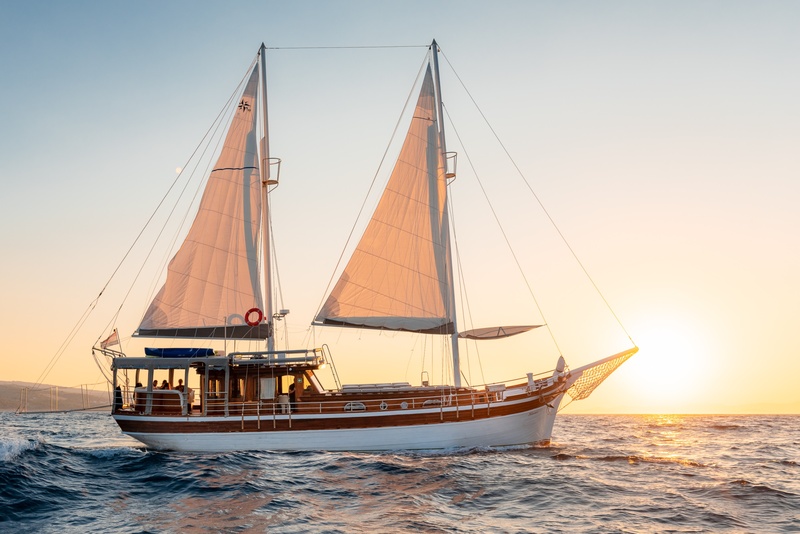 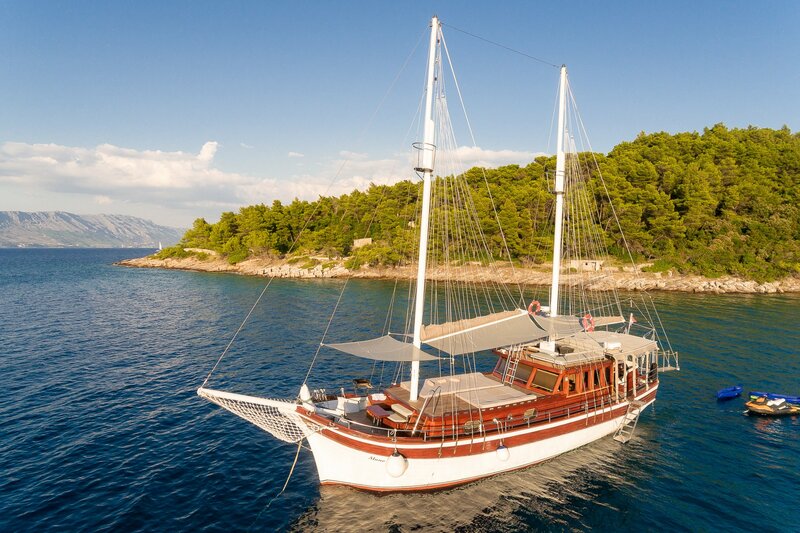 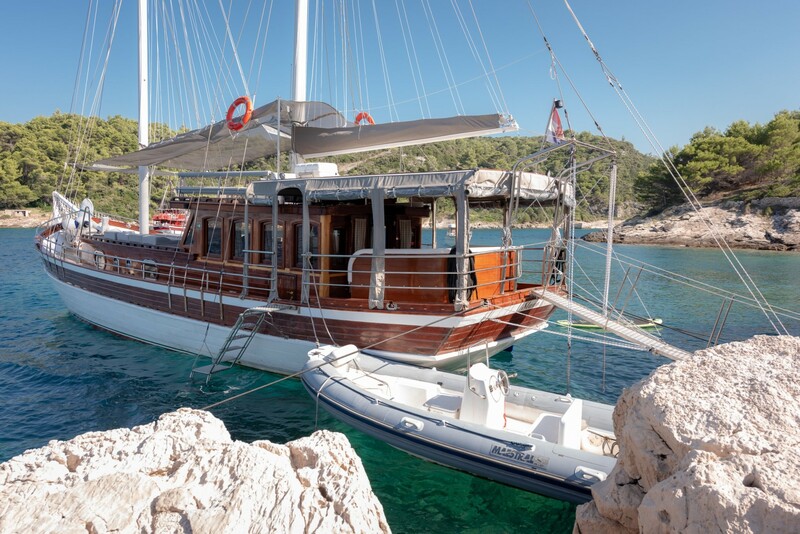 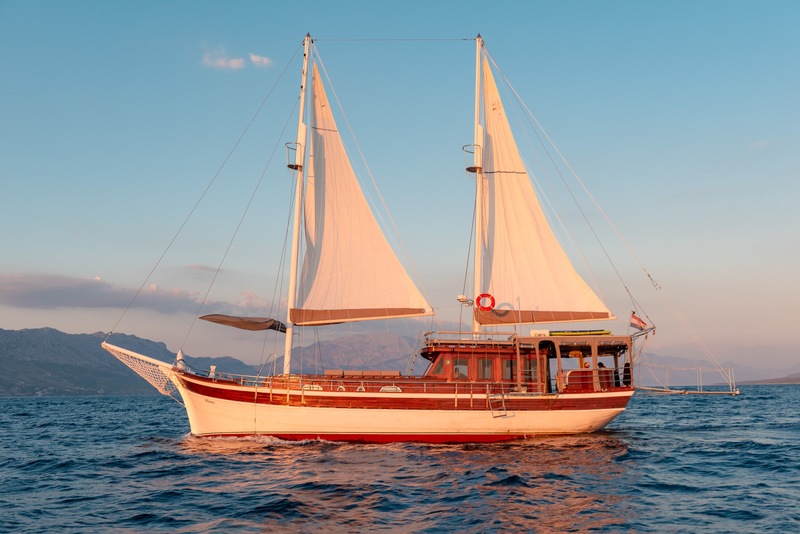 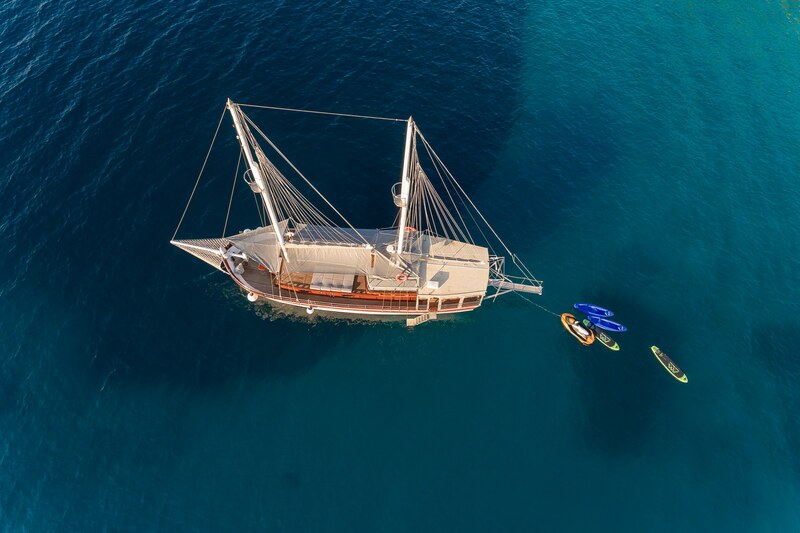 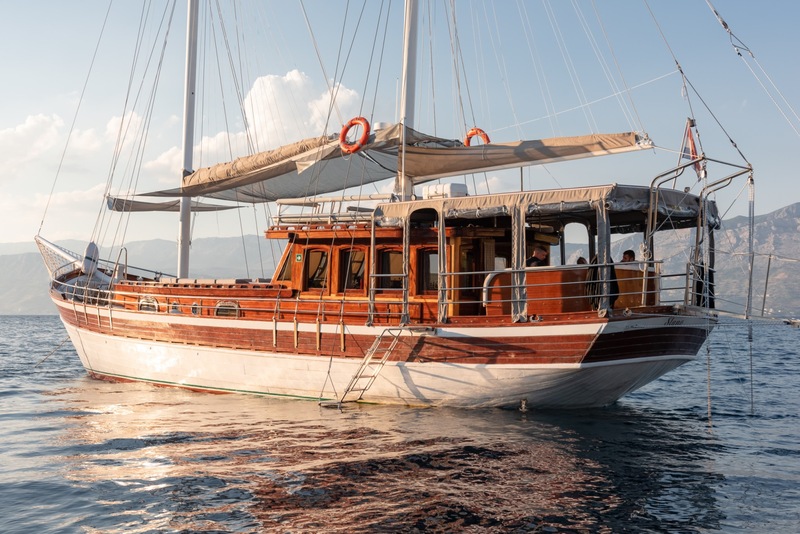 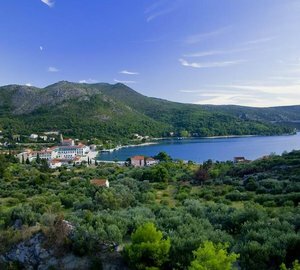 Gulet Slano was launched in 2017 and is 27 meters, she accommodates 10 charter guests, in 5 cabins and has a crew of 4. 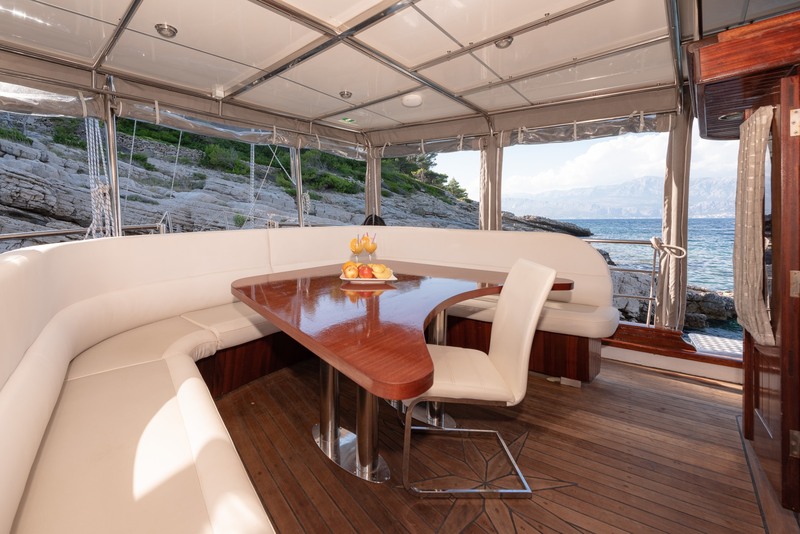 The yacht's interior is modern and fresh, using neutral tones and light fabrics, to create a relaxing and soothing atmosphere. 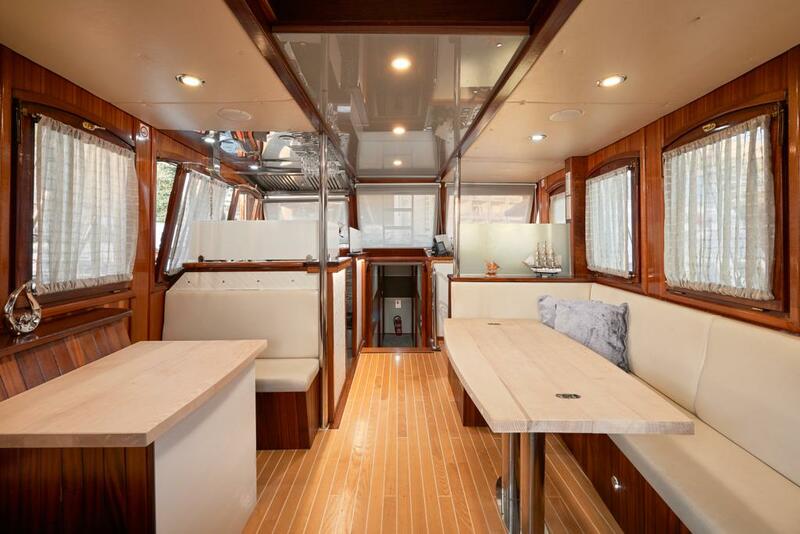 Her salon is in a raised position, which offers guests great views and plenty of natural light. 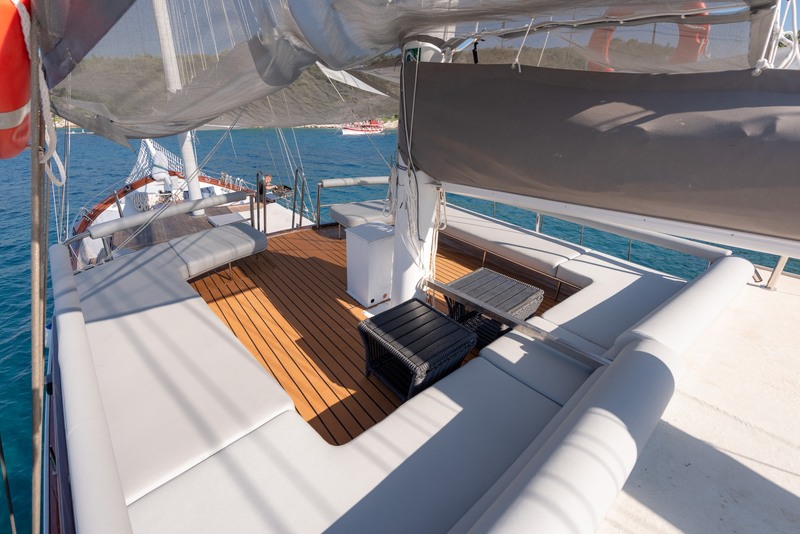 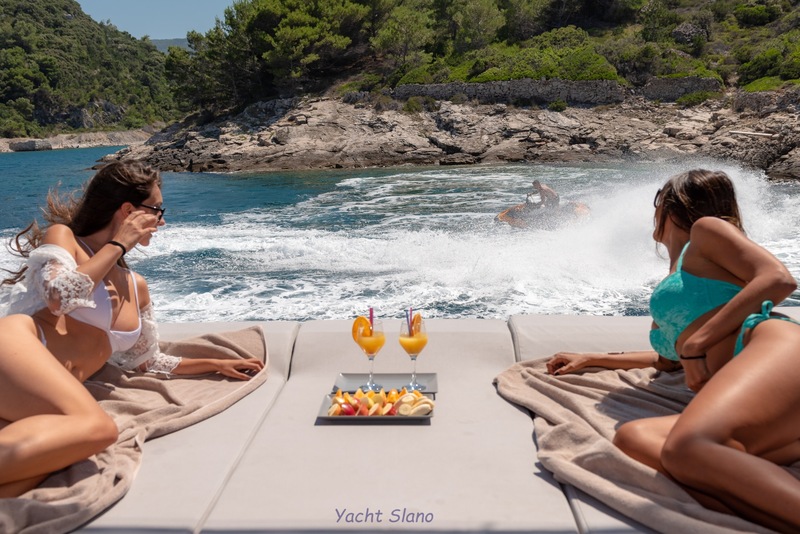 On deck, SLANO features alfresco dining under shade on the aft section, while on the foredeck there are plenty of sun pads. 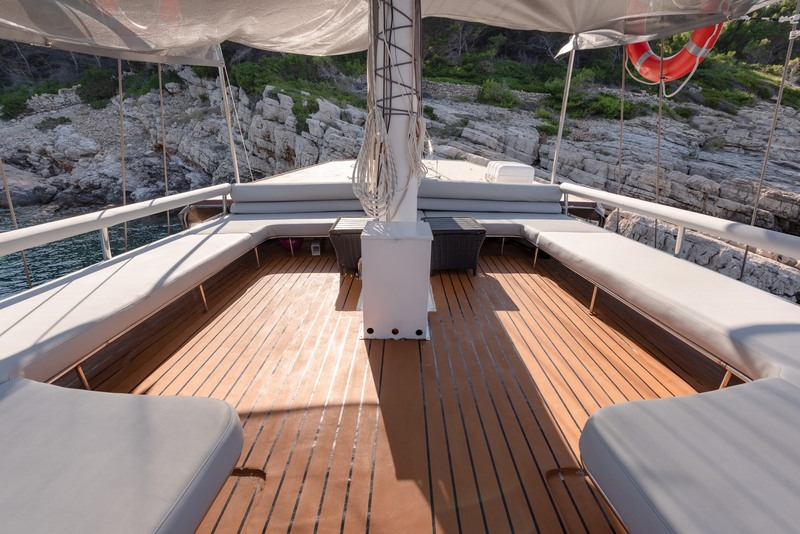 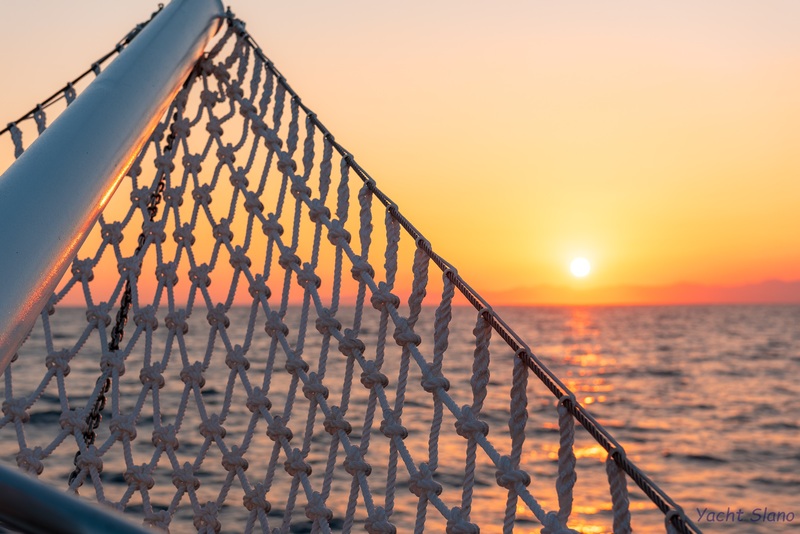 An upper deck offers further sun pads and a great area to watch the sunsets, with an evening cocktail. 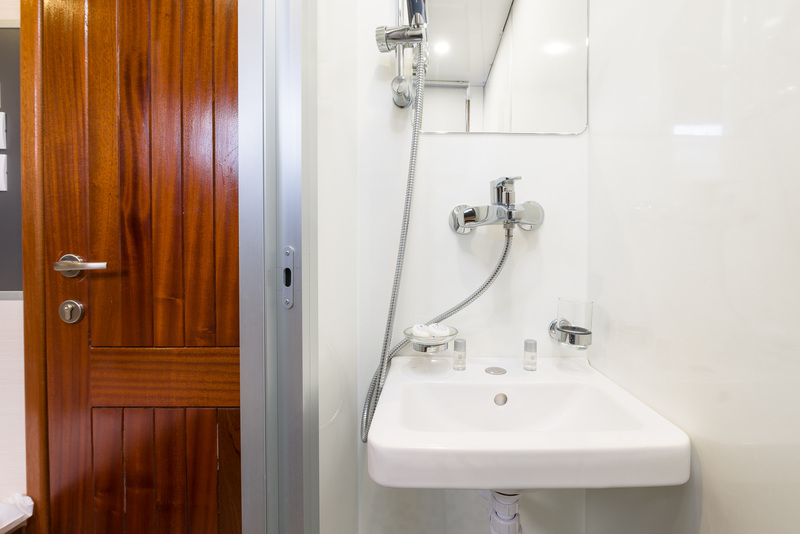 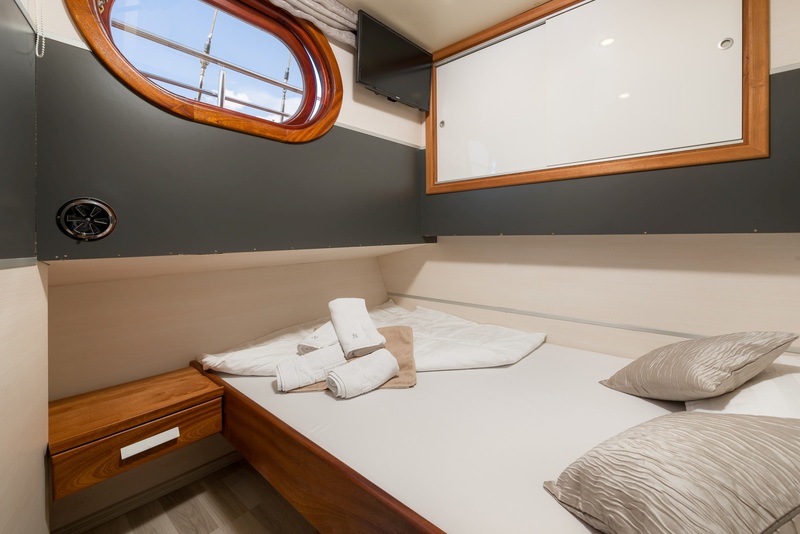 Accommodation is in 5 double cabins, for up to 10 charter guests.